Washington – The Fund for Investigative Journalism is pleased to announce that The Reva and David Logan Foundation has awarded $75,000 to help underwrite the Fund’s grant-making program for independent journalists around the world. This is the second year that the Fund has received a grant from The Reva and David Logan Foundation. The Logan family foundation’s donation in 2013 was instrumental in expanding the Fund’s grant-making program beyond the United States; it helped finance critically needed reporting of abuses around the globe, in places such as Armenia, Fiji, and Kashmir. The Logans’ generosity also helps the Fund meet a Challenge Grant goal. The net result is a matching $25,000 donation to the Fund from The Ethics and Excellence in Journalism Foundation. The Reva and David Logan Foundation supports several high-impact investigative journalism organizations, including The Center for Investigative Reporting in Berkeley, The Centre for Investigative Journalism in London, FRONTLINE and The Investigative Reporting Program at the University of California – Berkeley. The Foundation has also endowed a distinguished chair in investigative reporting at UC – Berkeley’s Graduate School of Journalism, held by veteran investigative journalist, Lowell Bergman. The Foundation also sponsors the annual Logan Symposium on Investigative Reporting at the university. The 2014 Symposium brought together reporters, editors, students and philanthropists to discuss legal, safety, and financial risks faced by investigative reporters and their sources. David Logan passed away in 2011. The Fund for Investigative Journalism is an independent, nonprofit organization that has supported hundreds of public service reporting projects since 1969, when it provided travel expenses for Seymour Hersh to investigate the massacre of civilians by American soldiers in My Lai, Vietnam. In addition to Hersh, many renowned journalists received grants from the Fund early in their careers, including Lowell Bergman, Elizabeth Drew, Alan Berlow, Sandy Close, and Daniel Zwerdling. The Fund pays expenses and small stipends for independent reporters who have the ideas, sources, and know-how to produce groundbreaking investigative journalism, but need resources to get the work done. The Fund makes grants three to four times a year. The next deadline for applications is Monday, September 8, 2014. The typical grant is around $5,000. During the past two years, the Fund has awarded $460,000 in investigative reporting grants. The Fund for Investigative Journalism also receives support from The Ethics and Excellence in Journalism Foundation, The Park Foundation, The Morton K. and Jane Blaustein Foundation, The Nicholas B. Ottaway Foundation, The Gannett Foundation, The Green Park Foundation, The Nara Fund, and individual donors — many referred by the Catalogue for Philanthropy: Greater Washington. The Fund relies on the support of individuals and foundations. Donations can be made online, www.fij.org, or by mail to the Fund for Investigative Journalism, 529 14th Street, NW, 13th floor, Washington DC 20045. 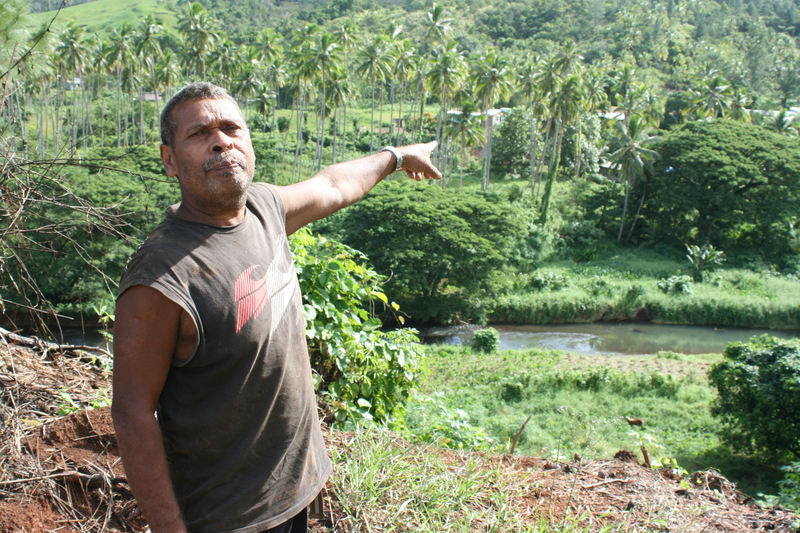 Reporting from Fiji, site of an $8.7 million get-away from rising sea levels in the Pacific, Christopher Pala reports the purchase had no clear purpose: “…while [Kiribati president Anote] Tong’s warnings of impending doom for atoll dwellers have brought him a measure of fame abroad and even a panel that nominated him for a Nobel Peace Prize, in Kiribati they elicit confusion in some people and derision in others. 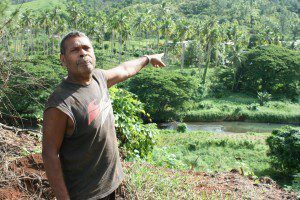 Pala’s reporting on the Fiji purchase also appeared in The Atlantic Magazine. (Washington) The upcoming deadline for applications is Monday, September 8 at 5pm Eastern Time. The Fund for Investigative Journalism is currently accepting proposals to investigate stories in the United States and abroad. The Fund supports work done in all media, as long as the applicant can provide a letter from an executive of a media outlet, committing to run the story – as long as it fulfills the proposal and meets the outlet’s journalistic standards. On this home page, click on “Apply for a Grant” for detailed instructions. If you have further questions about the application process, call 202-662-7564 or email fundfij@gmail.